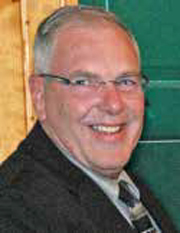 Jim Smith was named the recipient of the 2012 PJ Hodgins award, given annually to an outstanding Cosmopolitan for service to the club at the local, federation and international level. Jim joined Cosmo in 1979 and has been a member of three different clubs at one time or another and a current member of Saskatoon Couples Club. He served as club President of all three clubs and twice at his first club. He has been a Federation Governor and was our International President in 2008-2009. He has also chaired the Cosmopolitan Foundation Canada. Jim has visited nearly every club in the organization, hitting 62 of 64 clubs on his Fun for Life tour during his presidency. Ray Meister was named the 2012 Cosmo of the Year at the Calgary Convention. Ray became a member of the Fremont Club in 2003 and has made a major impact at the local, federation and international level already. The Cosmo of the Year is awarded for service at the local level. Ray has certainly done an outstanding job in that category. He has perfect attendance, is involved in all aspects of the club committees and events, and has served as Club President. 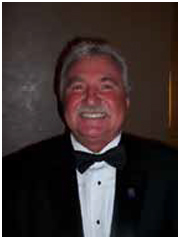 He helped lead the successful membership events of the Fremont Club that attracted many new members to Cosmo and cemented the Club as a top ten club in membership. 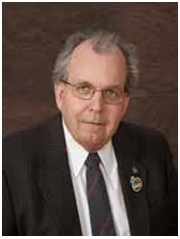 Ken Dirksen was named the Member Community Service Award winner for 2012 in Calgary at the convention. 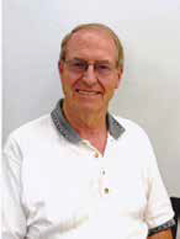 Ken is a charter member of the Cornhusker Club having joined in 1969. He is very active in his club and many community projects. He is a 50 year member of the Knights of Columbus in his church, ushers every Sunday and participates in a host of church duties. 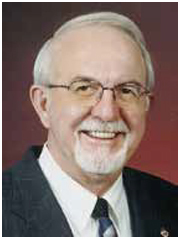 He is an active and integral part of the German America Society, Lions Club, and American Red Cross. With all that he still has served as an officer of his club and assists in many fundraisers and projects. Our Mo-Kan Governor was named the Governor of the Year for Cosmo at the Awards ceremony in Calgary. John served Mo-Kan with distinction during his year. He visited the clubs, kept in touch by phone and email, encouraged membership growth and community service at every turn and ended the year with positive overall membership in Mo-Kan. He was very deserving of the award. Denise Johnson, River City Club President, was named the Cosmopolitan President of the Year for her work with her club. 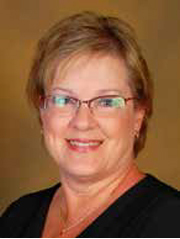 This was Denise’s second term as President of River City, having served as its second president and first in its history in 1992. During the year, and under her leadership, the club had its most successful fundraising year, increased in membership and had successful community service projects that continued to gain name recognition in the Lawrence community. Lon Bohling, Fremont Club, was named the Rookie of the Year at the convention in Calgary. As the name implies, Lon is a new member that has already become a major contributor to his club. He has immersed himself in two areas of the club, membership and fundraising. Even as a new member, he is recruiting more new members. He is also a champion of raising funds for diabetes. To that end he sold over ¼ of the raffle tickets last year for the clubs major fundraiser and has already exceeded that total for 2012. Great work, Lon, and welcome to Cosmo!